I have long considered myself a cultural historian because I find myself chiefly interested in visual and material culture, in art, architecture, performance, spaces, display, representation, and in the overall appearance, aesthetic, style, feel, atmosphere of a particular place and time. To put it another way, I consider myself a cultural historian because I’m interested in “culture” more than I am politics, economics, or social history (social history includes class hierarchies, gender roles, family structure, and some other key things I’m sure I’m forgetting). In essence, though I don’t think I ever managed to articulate it for myself before, I think I might say that in this particular understanding of it, (1) cultural history is the history of cultural practices, forms, identity, and difference. It includes concrete or specific topics typically said to belong to the disciplines of art history, theatre history, music history, architectural history, such as the biography of an artist; analysis of a particular object, image, movement or dance, piece of music, festival, or work of literature; or discussion of stylistic developments. But it also includes a myriad of topics that simply emphasize or highlight such things. The Buddhist temple Sensô-ji, in Asakusa, Tokyo. 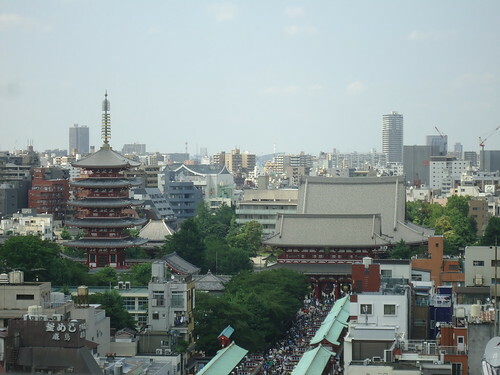 Photo my own, taken June 2013 from the new Asakusa Tourist Center. Because of my interests, I tend to associate “culture” with the arts – with visual and tangible stylistic or aesthetic elements. When I think of “Japanese culture,” I think of architectural styles, styles of painting, forms of theatre, styles of music. But, of course, there’s also the idea that “culture” means attitudes, values, ways of doing things. And there are those who, when they hear the term “Japanese culture,” might immediately think of Confucianist or Buddhist values, group mentality (vs. individualism), politeness, certain attitudes about gender roles, or the like. This is no less valid, though it does certainly complicate things. I never considered it a political statement to say I did cultural history, but simply a matter of personal taste, or preference. And so, imagine my surprise when I was exposed to Marxist history, and to the idea that economics drives everything, and that culture is merely the dressing. This is the idea that regardless of whether you’re in 14th century Mali, 3rd century China, 18th century Hawaii, or 20th century Paris, the most significant forces driving historical change are struggles between the proletariat and the bourgeoisie, and shifts in control over, or availability of, labor, land, and capital. (I’m sure that Marxist historiography is much more complex than this, but, no doubt there is, or was, a school of thought that took this as its fundamental jumping-off point.) This is certainly a political statement, a particular position. And, in contrast to this Marxist history, (2) cultural history is that which takes culture, rather than economics, to be the chief force in driving historical change. Angus Lockyer’s “A Short History of the World,” glossing over differences in visual or material culture, and emphasizing the impact of the balance of land, labor, and capital, in driving the most major overarching threads of world history. On the one hand, the land/labor/capital triangle can explain a great many things, regardless of the time, place, or cultural context. As can economics theory more broadly – supply & demand, the impact of taxation upon those two, the idea of externalities, etc. etc. Whether you’re talking about saké or Merlot, silk or cotton, transported by horsecarts or by container ship, purchased with gold coins or with credit card, much of the “laws”, formulas, and models of economics will apply just the same. And issues of scarcity, of ease of access to certain goods, of the economic benefits or dangers of using certain materials (e.g. the economic losses if your stone building collapses in an earthquake where a wooden building would have survived), can certainly have a profound influence upon the form that cultural forms take. But, on the other hand, there are surely many cultural forms that arise largely independent of economic concerns – the Impressionists’ emulation of elements of the style of ukiyo-e prints, the popularization of particular hairstyles at this or that time, or the advent of particular stylistic aspects of kabuki, purely on the basis of aesthetic decisions or other types of cultural influences and artistic decision-making. That is, unless you want to attribute all of it to commercialism, and simply doing what will sell best. There are also cultural aspects that have profound economic impacts – Confucianism teaches that concerning oneself with monetary matters is vulgar, and base, and that a cultured scholarly gentleman should not concern himself with such things. This ideal was adopted by the samurai class in Japan, who as a result did not embrace, allow, or encourage commercialism and proto-industrial developments as strongly as they might have otherwise, and who therefore declined considerably as the merchant class – who Confucianism said were low, base people for their greedy obsession with material wealth – grew more and more economically powerful and influential. Another example of cultural concerns might be the use by Ryukyuan ambassadors to Japan of Ming Dynasty robes, representing their association with the great Chinese civilization. Of course, in truth, both economics and culture are irrevocably intertwined. Economic concerns influence and shape cultural forms, and cultural forms have economic impacts, and to say that either trumps the other is, to my mind, misleadingly reductionist. Ryûkyû-jin tôjô no gyôretsu 琉球人登城之行列 (Procession of Ryukyuans Enroute to Edo Castle), 1710. Sakamaki-Hawley Collection, University of Hawaii at Manoa Library. Photo my own. But, returning to the point, there is a third definition of cultural history. 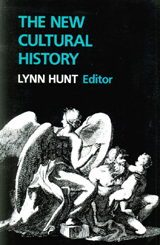 As it has been explained to me, the “cultural turn” of which Lynn Hunt’s book is apparently representative was all about the assertion that “history” did not have to be political or economic history, or whatever the classical, conservative, standard, traditional mode of history had been. History does not need to be about “big men” (great historical figures who brought about great changes), or about the rise and fall of political entities, or about development and progress towards certain abstract ideals, such as “civilization,” or “freedom.” History could be about culture as well. Now, on the surface, this seems perhaps not so different from my own definition of cultural history, presented above. But, I get the impression that the cultural history of the so-called cultural turn was less about artistic, aesthetic, or stylistic developments, or even about nameable religious movements or guiding philosophies, but rather, (3) cultural history is about attitudes, mentalités, or “the social process[es] whereby people communicate meanings, make sense of their world, construct their identities, and define their beliefs and values.”1 It’s all very theoretical/conceptual – post-structuralist, something something. And then, finally, there’s the fourth definition of cultural history, one I came across for the first time today. As a result of Googling “what is cultural history?”, I came across this wonderfully clearly written blog post entitled “Back to Basics: What Isn’t Cultural History?” To summarize, the blog post suggests that since the cultural turn, “cultural history” has expanded to “a point of crisis where practitioners and critics alike argue that the field is so expansive as to encompass everything, and therefore mean nothing.” So, if cultural history encompasses so much, then what is not cultural history? A very compelling, interesting, and important question, and if you’re interested, I definitely recommend checking out the full blog post over at And After That The Dark. But, to jump to the part that’s most relevant for my topic of today, this blog post defines (4) cultural history as “the analysis of the significance of events in the past to those who experienced them, and how these meanings changed over time. … All history that concerns itself with meaning and belief is cultural history. Any history that does not ask, ‘but what did it mean?’ is not cultural history.” Well, that’s certainly interesting. It’s certainly a form of historical inquiry I’m particularly interested in, and it’s certainly one that seems particularly strong these days. So, to bring this thing to an end, which one of these four definitions best matches your understanding of “cultural history”? (1) Stephen Best, “Culture Turn,” Blackwell Encyclopedia of Sociology Online (2007). Is a philologist a cultural historian? I’d say that does seem to fit within definition #4… and it’s certainly something that’s grown significantly in strength or popularity, I think, in recent years. All very valid and important questions indeed. We must consider the artificiality of the assumptions we place on our objects (subjects?) of study, and the discursive frameworks within which we consider “culture.” All tradition is invented, all culture is authentic, or inauthentic, arguably. Still, the question remains, when one says one is a “cultural historian,” or that one “does cultural history,” what does that mean to the person saying it, and to the person they are speaking to? Do we understand one another to be holding to the same meaning, or is there a failure of terminology? A very interesting discussion (and thank you for visiting and quoting my post). The debate over what constitutes ‘culture’ from philosophical, anthropological, structuralist, post-structuralist perspective is indeed tremendously fascinating but I fear when it comes to ‘doing’ cultural history these debates can sometimes become a bit of an albatross. Theories of ‘culture’ are relevant and valuable, but such debates can lead historians down a rabbit warren away from praxis, away from the task at hand – trying to understand what events, objects and texts meant within the context in which they existed in the past. Cultural historians are concerned with more than just objects – ritual, literature, political movements, science, and yes, even material history. Good cultural historians can apply the tools of social sciences that make their craft more than just informed fiction. The theoretical side of things is very important and valid, but it can muddy the waters to make us believe we can’t find plausible answers. I do think it’s okay for practitioners of cultural history to have some confidence in saying yes, cultural history can be done by using appropriate methodologies. Theory is important, and we do need to be clear what we mean by ‘cultural’ history, which is why I was proposing a rather stripped-down definition of it as being concerned with meaning rather than only cause and effect.